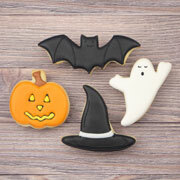 Get your "spooky" on with this 5-piece gift set, which includes popular Halloween shapes to make your holiday a little creepier- in a fun way, of course! 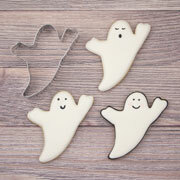 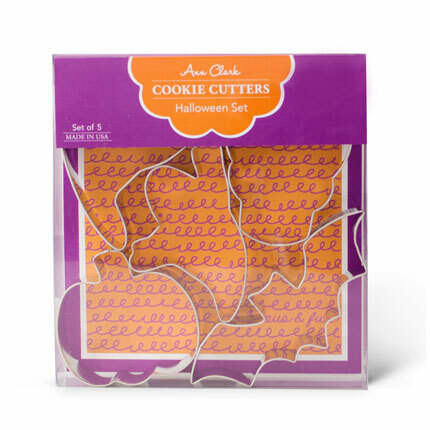 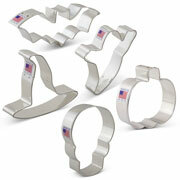 Bring out these cutters for a DIY cookie activity, or give to your favorite little ghost or goblin. 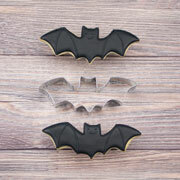 Pumpkin- 3" x 2 7/8"
Ghost- 2 1/2" x 4"
Flying Bat- 2 3/8" x 4 5/8"
Witch's Hat- 3 1/8" x 3 3/4"
Skull- 3 5/8" x 2 5/8"
Cookies decorated by A Dozen Eggs and Elizabeth Bougie.